As I've mentioned before, I spend most days in Manchester. It's where I earn a crust, where I studied and where I met my wife. In Sackville Park, close to the Gay Village, a statue of Alan Turing sits. In his hands he holds an apple. Turing's death is a stain on British history and it's sickening that the man who played a crucial role in saving millions of lives during the war was driven to death by the very government he worked for, simply because of his sexuality. Turing is a hero of mine and I am proud to have worked at Manchester University as he did. Just in case you weren't aware, Turing developed the "Turing Test", a version of which is known as "The Imitation Game", hence the title. The Turing test helped develop Turing machines - machines for computing mathematical problems - or computers as we now call them. Thanks to Alan you are reading this. Benedict Cumberbatch is excellent as Turing, creating a difficult but likable character. 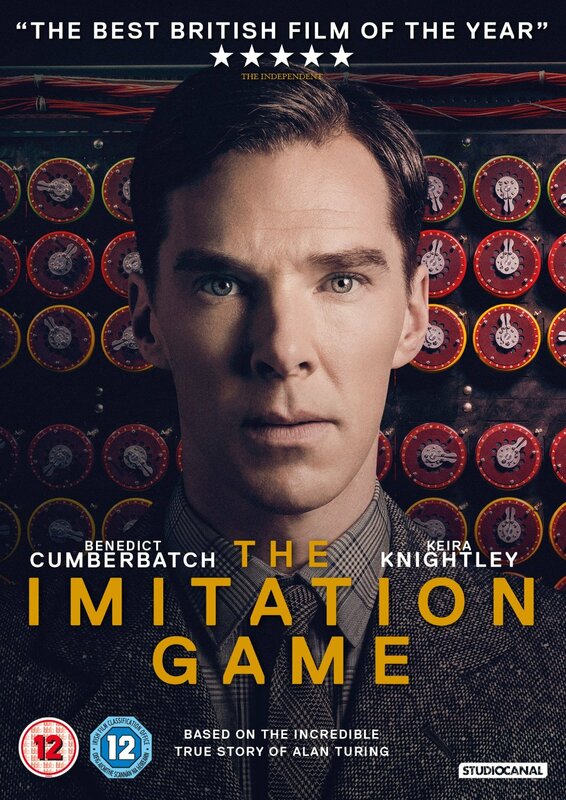 Whether Turing's social difficulties and possible autism were as evident in real life as in this film I don't know, but such facets add to the depth of the story. 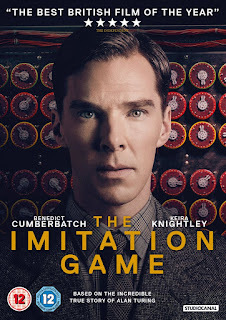 The film concentrates mainly on Turing's war work decoding the German Enigma machines, allowing the British government to decrypt messages from the Germans. Nobody knew of this work, if it became known that the messages were being decrypted the Axis powers would have created a different machine. The art was in knowing when to react to a message and when to ignore it. Difficult decision had to be made, touched on in the film. Turing's left is spent breaking barriers; the Enigma codes are the core of the film but he also struggles to decode human relationships, communications between people, his own sexuality and feelings ... life, really. Keira Knightley is much more straightforward and easy going as Joan who assists the codebreakers (as a woman, how dare she think she can work with the chaps!) and gets as close to Turing as anyone can. Mark Strong is also powerful as the MI6 worker who pulls strings and dictates the progress of the project and, in a way, the war. The ingenuity of our society 70 years ago saw a machine created that was the precursor of the computers we use today. That same society tried to castrate - legally - a man to 'cure' him of his homosexual tendencies, a man whose efforts less than 10 years earlier shortened the war by 2 years. Such depraved, barbaric and confused beliefs have no place in any society, let alone one that in most ways was one of the most advanced on earth. Tears flow by the end. Alan Turing is one of around 50 people to have received a full Royal Pardon for their 'crimes' in the past 300 years.